Bear was surrendered to Finding Shelter by the family of his former owner who passed away. She had him from when he was a puppy along with a senior Pomeranian who recently passed away. His mom got sick and her teenage granddaughters did not know how to care for a dog. After she died, Bear spent many hours inside or tied outside to a tree. He kept getting loose and running to a neighbor’s house. That neighbor is a Finding Shelter foster and she spoke to the young girls about his care and safety and they admitted that they could not take care of him and asked for Finding Shelter to help. 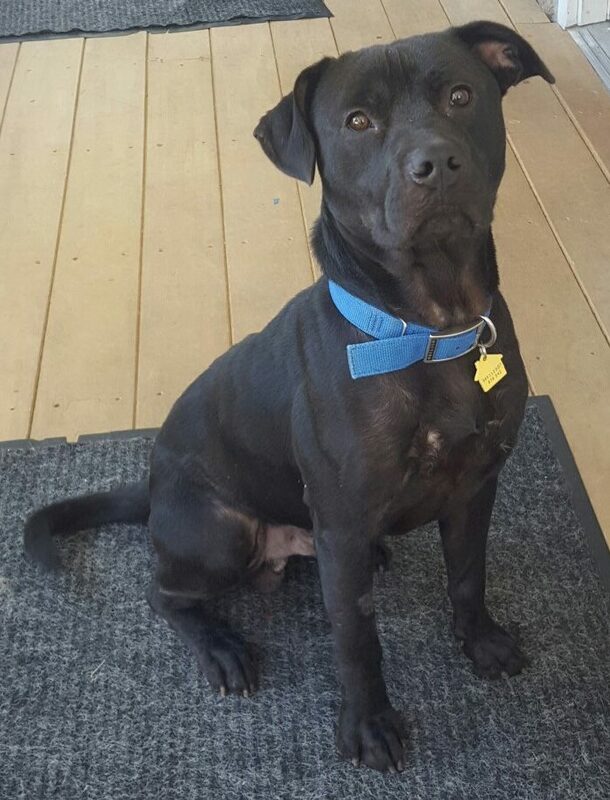 Bear is an energetic, bouncy, happy, playful boy who needs some training but loves to be loved and make his people happy. He will lean in for a hug or just to be close to someone. Bear got a second chance at happiness. Won’t you make all of his dreams come true? Bear is sweet, loving and VERY playful! Bear has no known health issues! Bear is good with dogs! Bear is good with gentle children. A secure, physical fence is required for Bear to allow him the opportunity to run and burn off energy!